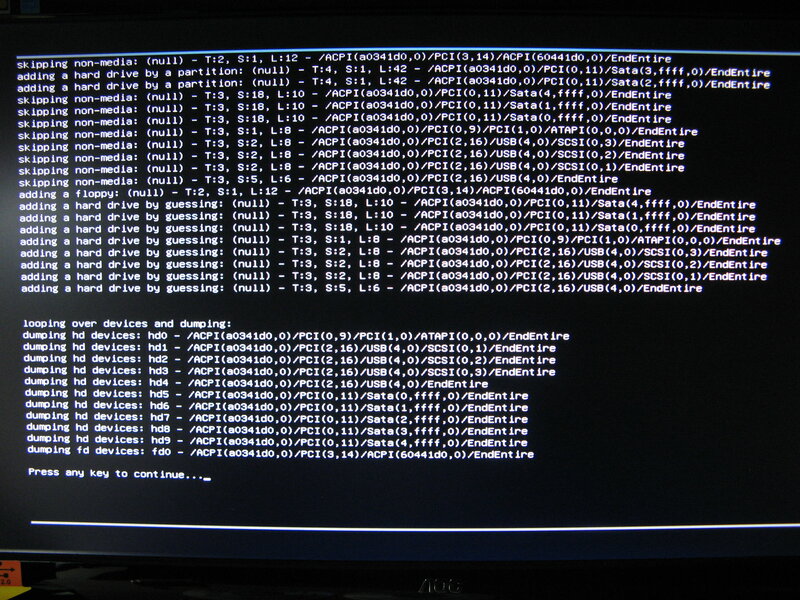 I have just run into some issues with GRUB and its device detection: I have just completed a Linux installation (Oracle aka RedHat Linux 7.2) on an EFI machine with GPT disks and a quite complex device setup (2 SSDs, 2 HDDs, 1 SATA BluRay-DVD-RW, 1 ATAPI DVD-RW, legacy floppy disk) booting through the default GRUB build based on 2.02-beta that comes with RHEL 7.2.
three USB mass storage devices representing empty slots on my card reader. 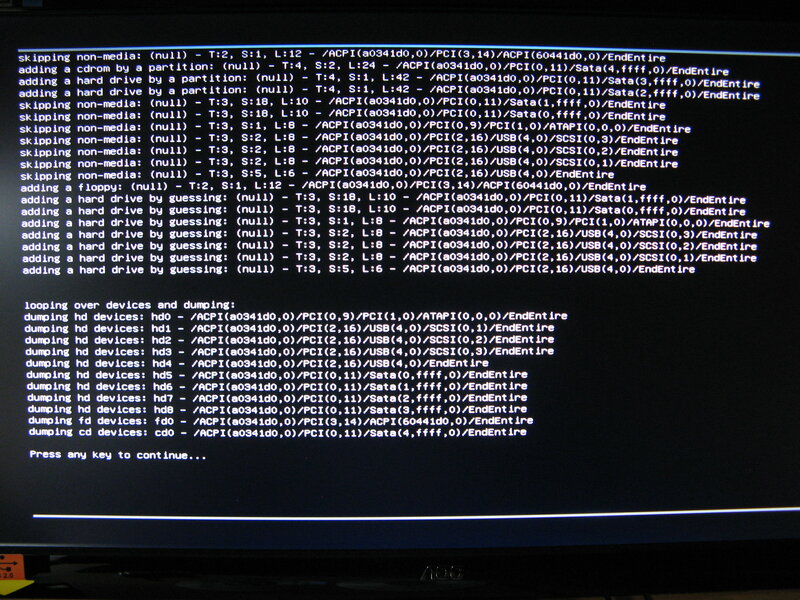 While the GRUB menu works fine and my installation boots fine (which is only due to the fact that all RHEL 7.2 identifies partitions by UUIDs; trying to address devices by GRUB and Linux device names would clearly have failed completely), it prints out multiple error messages before the GRUB menu is displayed: "error: failure reading sector <...> from 'hd0'" and "error: failure reading sector <...> from 'hd9'. 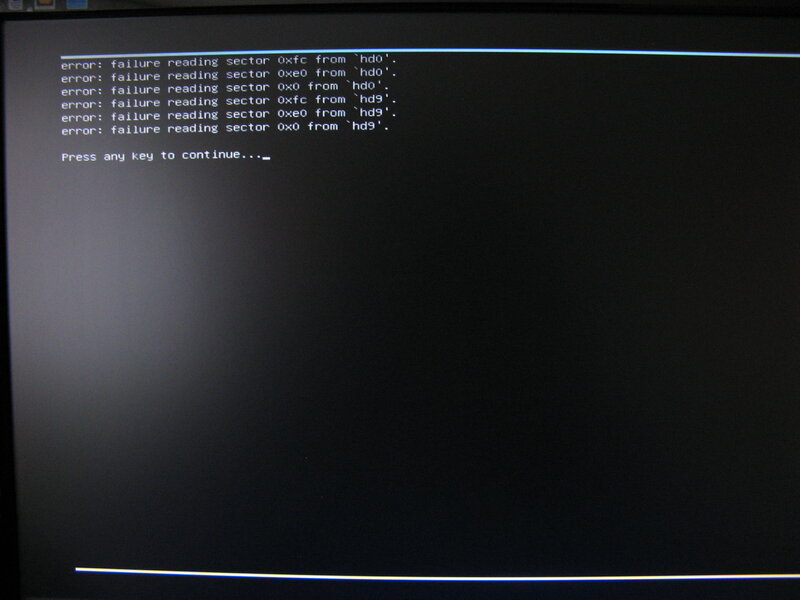 optical drives get "hd<n>" device IDs assigned rather than "cd<n>"
So in my case the error messages "failure reading sector" from (hd0) and (hd9) are caused by the fact that GRUB sees my empty PATA DVD drive as (hd0) and my empty SATA BluRay drive as (hd9). Note that once I insert a valid media into either drive, the respective drive will be properly detected as (cd0). Please let me know whether how to proceed, especially whether you would like me to create (one or more?) bug(s) for these issues. Next by Date: How to enumerate files in a directory using the builtin shell? Next by thread: How to enumerate files in a directory using the builtin shell?